We do everything we can to assure our patient’s comfort and peace of mind while offering the best in radiology imaging centers. Open MRI Orlando offers comprehensive diagnostic imaging services for patients in the greater Orlando metropolitan area, as well as the communities of Winter Park, Altamonte Springs, Maitland, Casselberry, and the surrounding area. We have been providing quality care for more than 20 years at our Orlando imaging center with the highest of standards in terms of patient comfort, care, equipment, and staffing. 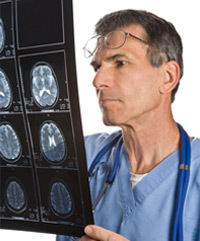 We offer sensitive treatment of those with MRI claustrophobia, and will help to put you at ease. We are equipped for patients from pediatrics to neurology, orthopedics, and other specialties, and HIPPA compliant. We understand that having an MRI can be stressful, and with our open MRI equipment, MRI claustrophobia can be significantly reduced. We offer quick appointments for imaging and x-rays, and can even see you on the same day that you call. Under the care of our radiologist, you’ll find compassionate and professional service, and even MRI sedation should you so request. Open MRI is no different in quality of imaging than you would get with a traditional MRI, but is easier on the patient with a fear of being closed in. Our staff understands that even if you are not claustrophobic, that you might be nervous, and will do everything they can to make your visit enjoyable and relaxing. We accept Visa & Master Card and offer payment plans for 12 months @ no interest.